Every year, I can’t wait until it is time to decorate for Christmas. There are so many beautiful lights and shiny things waiting to find their place on mantles and homes, I get excited just thinking about it. The traditional red and green with accents of gold and silver making the holidays shine bright is a beautiful combination and lights up cities across the world. But…what if you are tired of the same old thing? 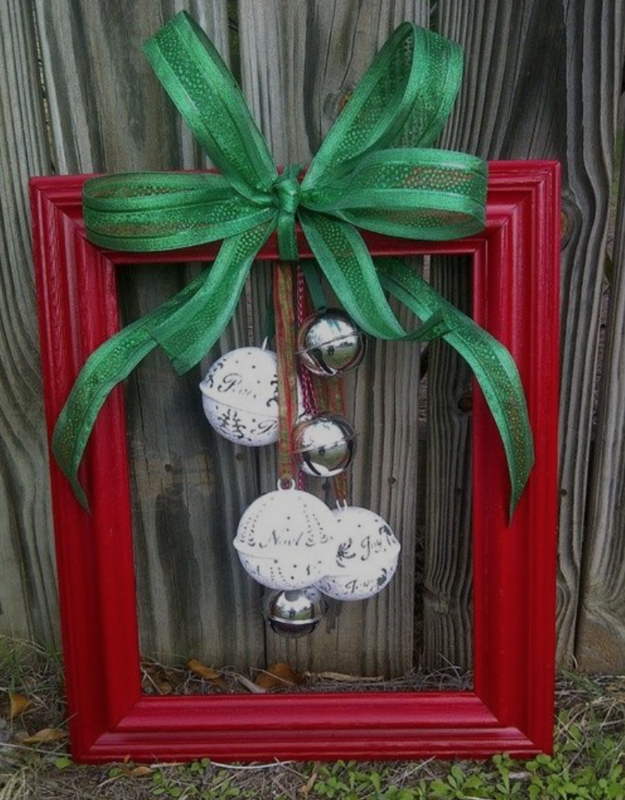 What if you want a new twist on Christmas decor? Here are some great ways to mix it up if you are ready for a change! For a shiny, mess-free tree, grab a hangar, some fishing line, and metallic ornaments of your choice. Hang ornaments on alternating heights of fishing line to form the shape of a tree and suspend from the hangar. Hot glue a star to the top of the hangar and hang anywhere for a suspended tree full of life, with no watering necessary. 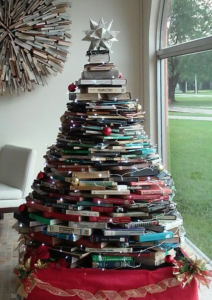 If you are a fellow bibliophile like this Tumblr user, grab all of your volumes of books from around the house, and create a tree by stacking books on top of eachother in a brick pattern, moving in a circle to create a conical shape. Drape a bow and battery powered lights over the top to finish it off. 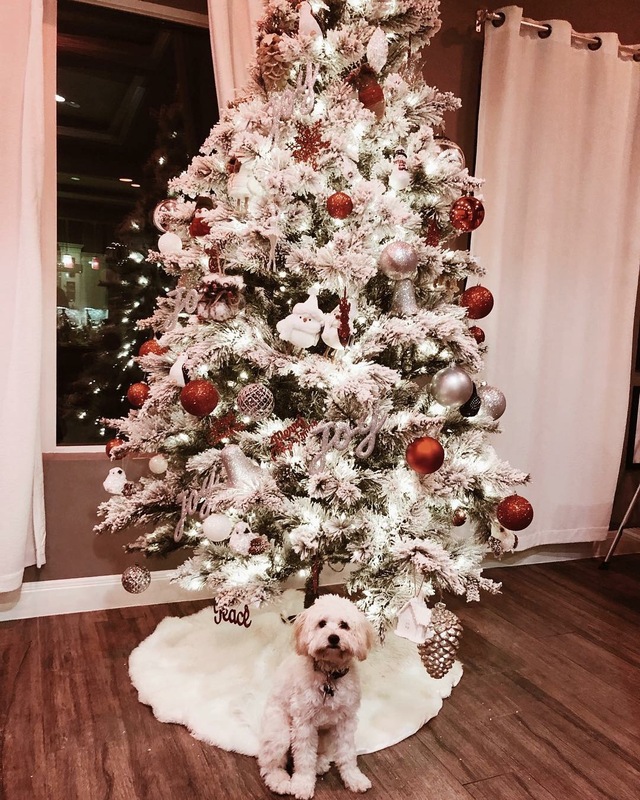 If you are short on floor space or are looking for a more slim-fit look this year, clear a wall and hang Christmas lights in a zig-zag pattern with the zig-zags getting larger as you get lower to form the shape of a tree. Make it extra cute by hanging snowflake shapes on the wall around the tree or making 3-D gifts out of paper bags to hang on the wall underneath. Red and green are beautiful, but they have so been done. One great way to change up your christmas decor is to use non-traditional colors. You could go for an all-white look to keep things crisp and clean. 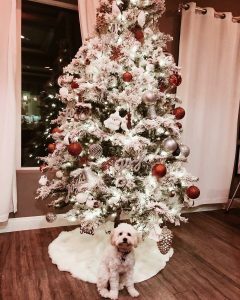 Get white artificial trees, white garland, white wreaths, and white linens (tablecloths, tree skirts, napkins, placemats, throw blankets, etc). Accent this palette with red and gold touches like ornaments and candles for an upscale look. If you are more into bold colors, go for the fuschia, bright blues, and lime greens that have become popular in the last few years! These hues are fun, bright, and merry without sticking to the same-old red and green of the past. Show these colors in the stockings that hang in front of the fireplace, the ornaments on the tree, multi-colored lights, and linens around the room. Want a new look for your front door? Why not take a page from your favorite Christmas movie. Print out a pic of Chevy Chase’s National Lampoon face and Mod Podge it onto some craft board, or do the same with a cutout of the kid from A Christmas Story and hang that inside a ring of green garland for a cute new look. 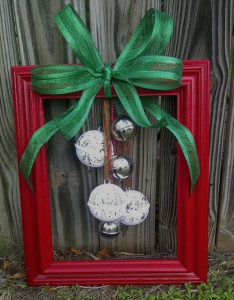 You could go for something a little more holiday classic like this picture from www.littlethings.com, by spray painting a picture frame red, hanging it on the door with some ribbon, and centering some jingle bells right in the middle for a quick door showpiece. For a natural look, pine cones from a craft store can be hot glued together in a ring and hung with Christmas ribbon. Want something super cute and fun? Grab a pair of old ice skates or kids snow booties and tie them together with a piece of ribbon to use as door decor. No matter how you choose to decorate, we hope you have a great time doing it. Be creative, make some memories, and share your masterpieces with us at info@castillo-group.com or @thecastillogroup!